The variety of passion flower used for medicinal purposes goes by the name Passiflora incarnata. Passionflower has been used for centuries for simple ailments like cuts and bruises. But more recently this exotic plant has received much more attention due to its more impressive healing properties like how it helps with anxiety, depression, insomnia and other sleep disturbances. The name "Passionflower" was coined in the 15th century by Spanish missionaries in Peru who saw this unusual flower as a symbol of the crucifixion. Each part of the flower holds symbolic meaning in recognition of the crucifixion story, the Passion of the Christ. Five sepals and five petals refer to the ten faithful apostles (excluding Judas and Peter). Three stigmas represent the three nails that held Christ to the cross, while five anthers represent his five sacred wounds. The tendrils of the flower are said to resemble the whips used in the flagellation, while the filaments, which can number in excess of a hundred depending on the flower, depict the crown of thorns. Medicinal use of the herb did not begin until the late nineteenth century in the United States when Passion flower was used to treat nervous restlessness and gastrointestinal spasms. The native people of North America and Mexico used passion flower in their traditional medicine as a sedative and to treat stomach problems. How Can Passion Flower Help? Passionflower could be the most effective herb. As well as alleviating symptoms such as hot flashes and night sweats (which are in themselves depressing enough), the alkaloids "chrysin" and "benzoflavone" present in this herb have been found to increase GABA (gamma-amino-butyric acid) in the brain. GABA is one of the inhibitory neurotransmitters, used by the brain to prevent over-excitement and attain balance. It also helps to decrease the activity of depression-inducing brain cells. Passionflower is a gentle anti-anxiety and mildly sedative herb that can even be used to induce a good night's sleep. One particular study asked volunteers with trouble sleeping to drink a cup of Passionflower tea at bedtime for a period of time, all reported significant sleep improvement. The increased GABA in the brain that passion flower can induce will also reduce the anxiety so often associated with insomnia. In addition, passion flower is known to be a muscle relaxant, easing away the tension that can make it more difficult to drift off to sleep. Passionflower is powerfully antioxidant due to the presence of the antioxidant compounds; vitexin, isovitexin, kaempferol, quercetin, rutin, apigenin and luteolin glycosides. It also contains indole alkaloids, fatty acids, gum, maltol, phytosterols, sugars and traces of volatile oils. One compound in particular – quercetin – has been extensively studied, it has been found to be exceptionally effective in ridding the body of damaging free radical molecules and it inhibits various enzymes that cause inflammation. These compounds also relax the nervous system, helping to relieve nerve-related pain such as back pain. Studies show that using the extract of passion flower can help to reduce high blood pressure (hypertension). It was found that one cup of passion flower tea daily can help to regulate blood pressure levels in people with mild hypertension. However, it is important to note that those on blood pressure medication should not consume this herb as it can lower blood pressure to dangerous levels. Studies have been conducted to determine the effect of passion flower extract on a variety of issues, including anxiety, ADHD, insomnia and substance withdrawal. In North America, passion flower extract is currently used as a sleep aid, sedative and to relieve anxiety. In Germany, besides its use as a sedative, a homeopathic formulation derived from the plant is popular as a pain remedy too. 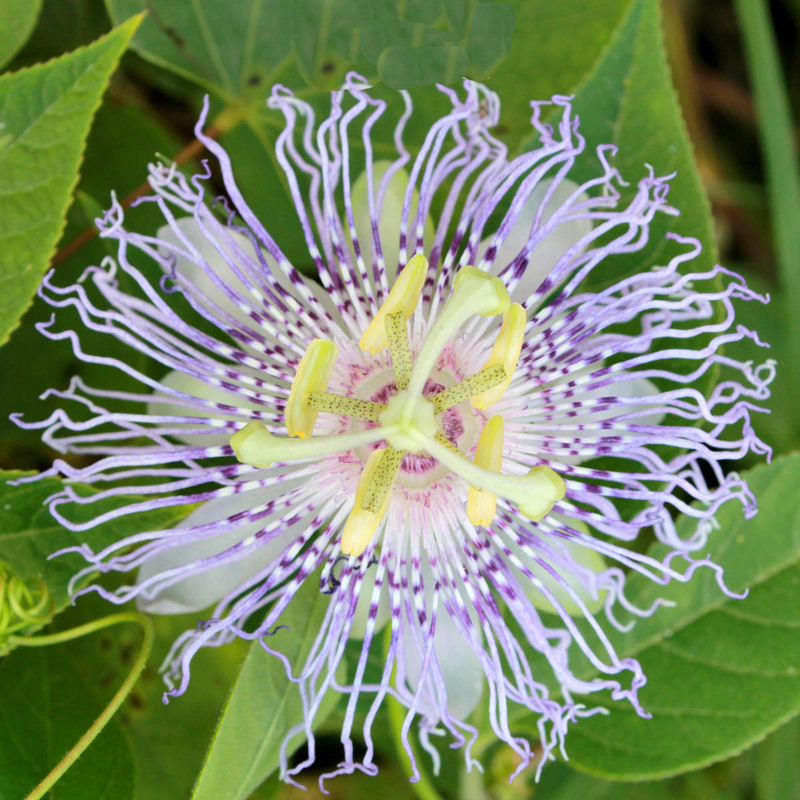 ADHD, hysteria, irregular heartbeat, palpitations, gastrointestinal problems, menstrual problems and fibromyalgia are some of the other mental and physical conditions that have been known to get relief through the use of passion flower extract.